Since its launch last year, the Toyota GT86 has revitalised Toyota’s reputation for building cars that are all about the pure pleasure of driving. Now the hugely acclaimed sports coupe – shortlisted for both European and World Car of the Year awards – gains even more appeal with the introduction of the new GT86 TRD. Just 250 examples will be available, equipped with genuine design and performance features from TRD (Toyota Racing Development), one of the world’s most accomplished and successful after market engineering businesses. 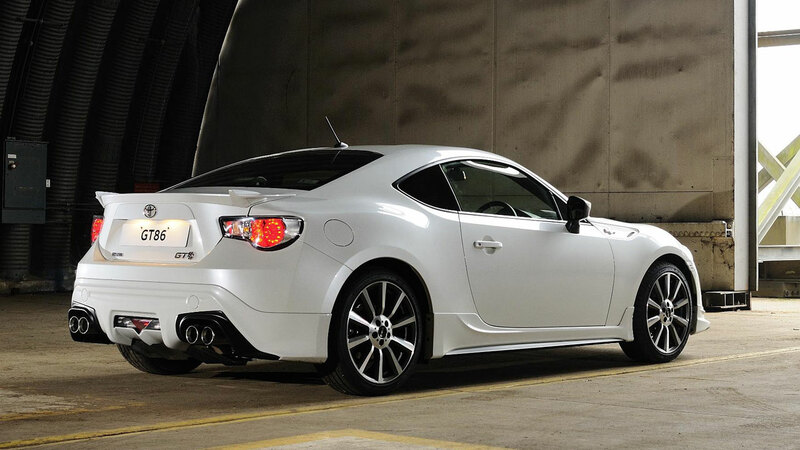 GT86 is the first UK Toyota for which official TRD parts have been used to create a specific production model grade. 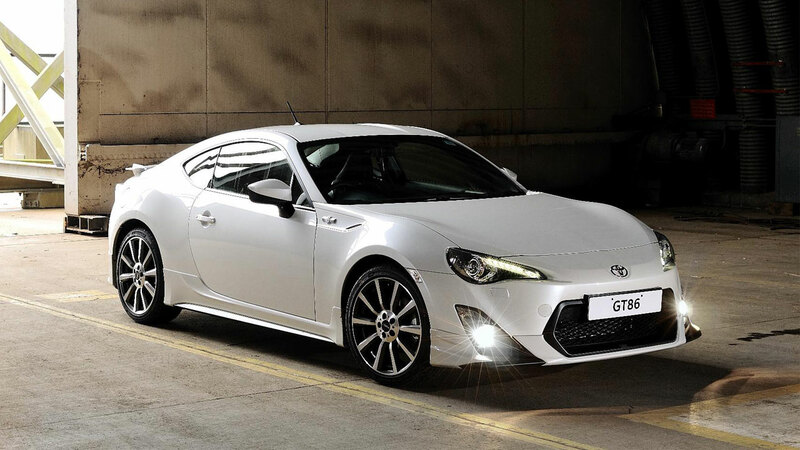 The GT86 TRD , on sale from 1 March, will create a new halo model for the 2+2 coupe range. Both six-speed manual and automatic versions will be available, in a choice of two colours: Pearl White and GT86 Black. On-the-road prices are £31,495 for the manual and £32,995 for the auto. 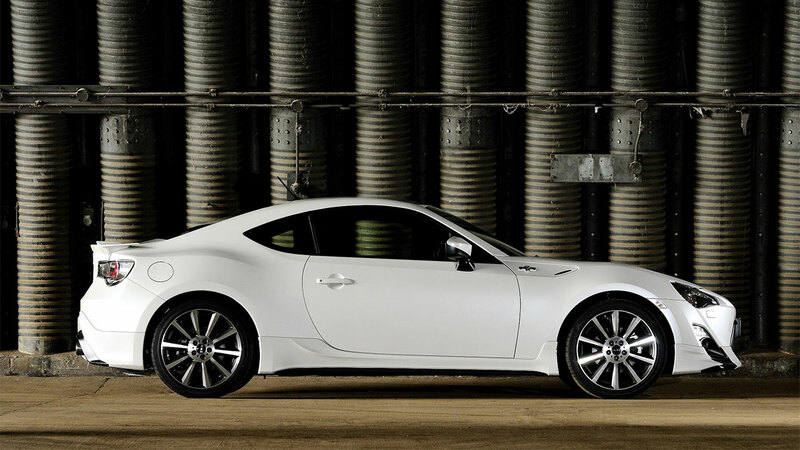 The focus is on sports styling, but not at the cost of GT86’s essential performance and handling character. The package includes 18-inch cast TF6 alloys, deep front and side skirts, a rear bumper spoiler and a fast-response quad-exhaust system with a rear diffuser to increase stability. The TRD touches also extended to a branded radiator cap and fuel filler cover, while inside the car there is a new TRD gear shift lever. 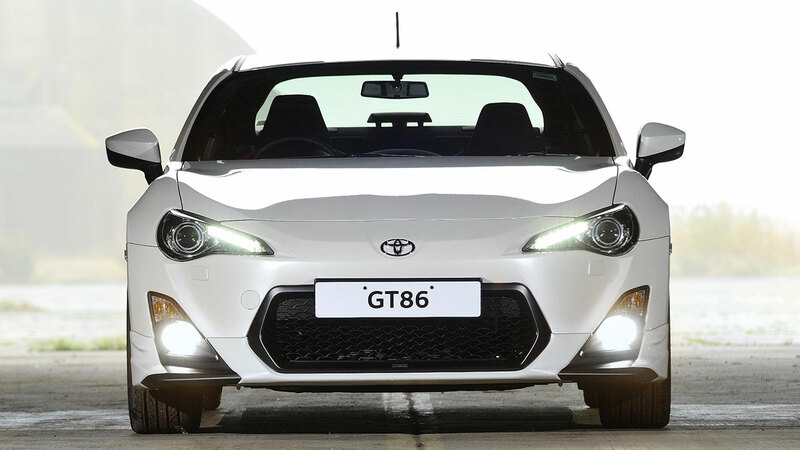 These items are all in addition to GT86’s established equipment specification, which includes HID headlamps, front fog lamps, limited slip differential, Smart Entry and Start, dual-zone climate control, analogue dials and meters, drilled aluminium pedals, sports seats, scuff plates, cruise control and the Toyota Touch multimedia system. Acceleration and maximum speed are unchanged at 7.7 seconds for 0-62mph and 140mph for the manual and 8.4 seconds and 130mph for the automatic. There are slight changes in fuel consumption and emissions: 192g/km and 34.9mpg for the manual and 181g/km and 36.2mpg for the automatic (all figures official combined cycle).